Bring the fragrance and beauty of Hawaii stateside with this Aloha assortment of 50 Dendrobium orchids. Perfect for your next party or wedding. If your party or wedding has a Hawaiian theme you can even make your own leis. 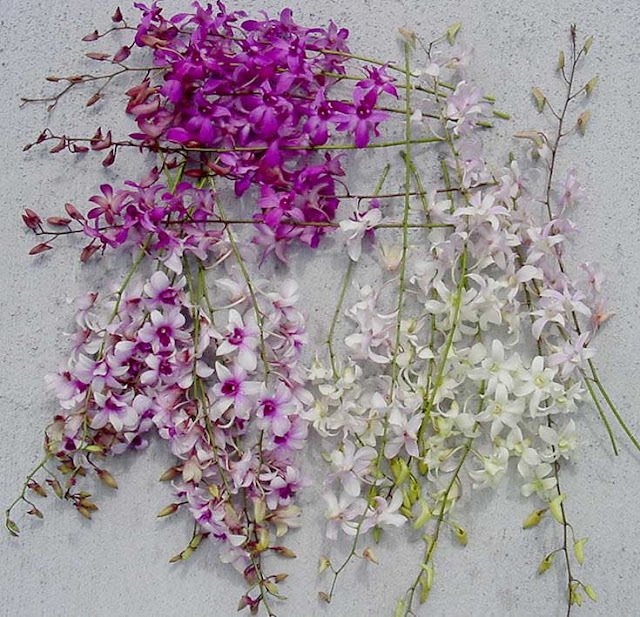 This excellent assortment includes standard Dendrobium orchids in various sizes and colors. A beautiful addition to the decor for any reception or large party, they're also ideal for restaurants and hotels. Orchids last much longer than most cut flowers, so they're an economical choice.